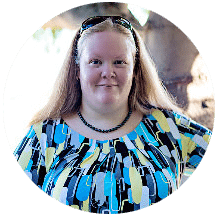 If you read yesterday’s post, then I hope you are beyond excited for today’s post – because I am! Have you ever had one of those moments when you know you have a great idea and you just can’t wait to see (and in this case, taste) the results?! This Triple Berry Oooey Gooey Butter Cake was like that for me! 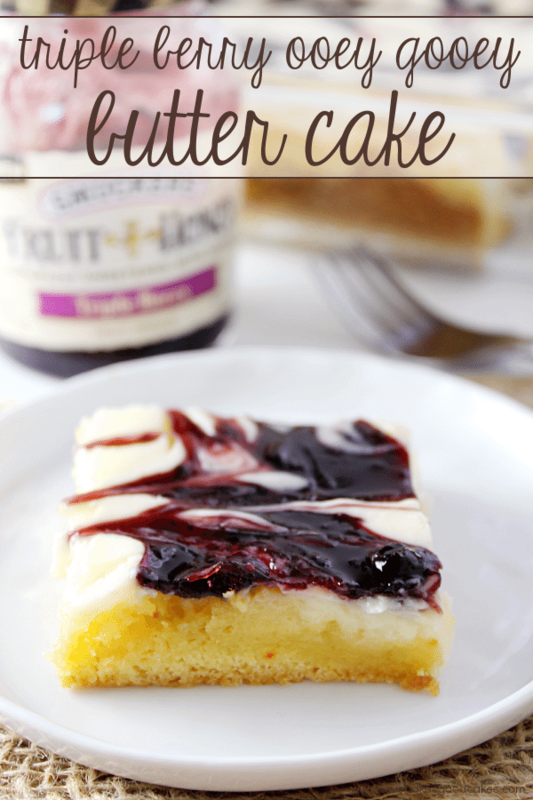 After spotting the new Smucker’s Fruit & honey Fruit Spread at my local Frys, I knew I had to pick up the ingredients to make this cake! And I’m glad I did because it is awesome!! 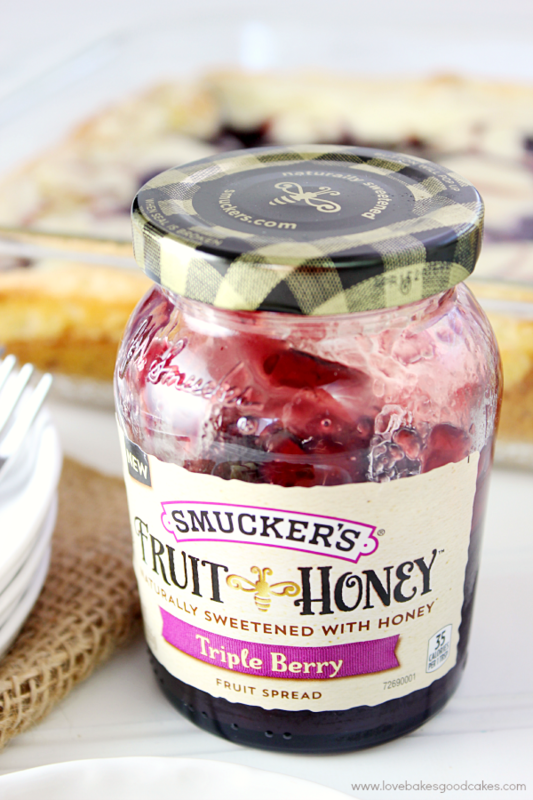 I hope you stopped at Frys (or another Kroger banner store) to grab a jar of this Smucker’s Triple Berry Fruit & Honey Fruit Spread. 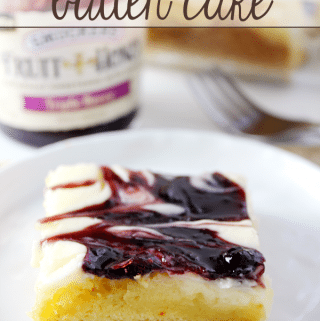 I’m sure any of the new Smucker’s Fruit & honey Fruit Spreads would be great in this Ooey Gooey Butter Cake – but I went with the Triple Berry for this recipe. This Triple Berry Ooey Gooey Butter Cake is a new favorite in the Love Bakes Good Cakes house – with my 14-year-old calling it his favorite dessert ever and Brian telling me he wants this for his birthday instead of a traditional cake. Boom. It is that good, y’all. It’s like a cross between a cake and a cheesecake – and that berry swirl just knocks it out of the park. Don’t forget to visit Frys Get Coupon! 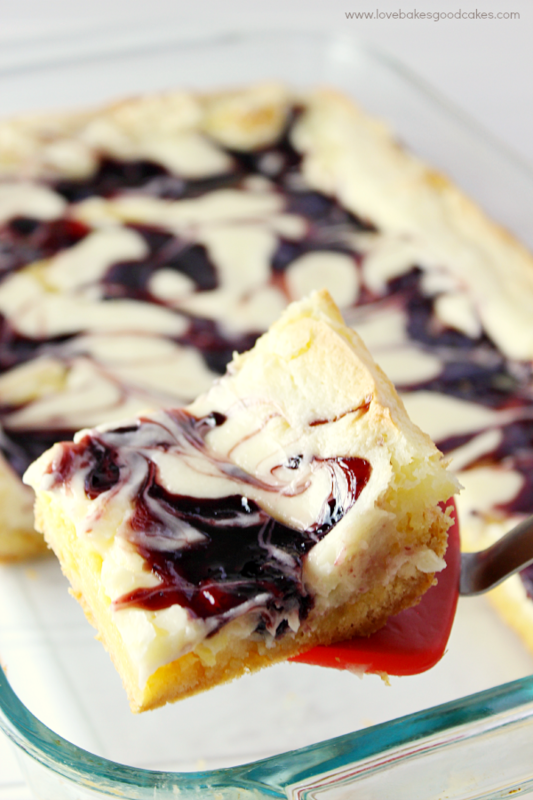 This Triple Berry Ooey Gooey Butter Cake is the perfect dessert anytime! 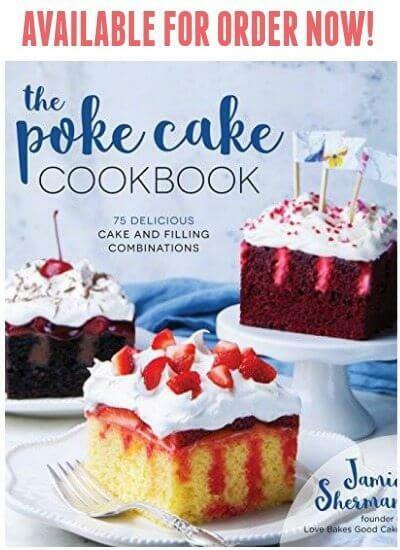 Although it looks like you fussed, it's easy to make! Preheat oven to 350°F. Grease a 9x13-inch baking dish and set aside. In a large mixing bowl, mix cake mix, 2 eggs, butter and vanilla until the batter is smooth and thick. Spread the batter into the prepared baking dish. 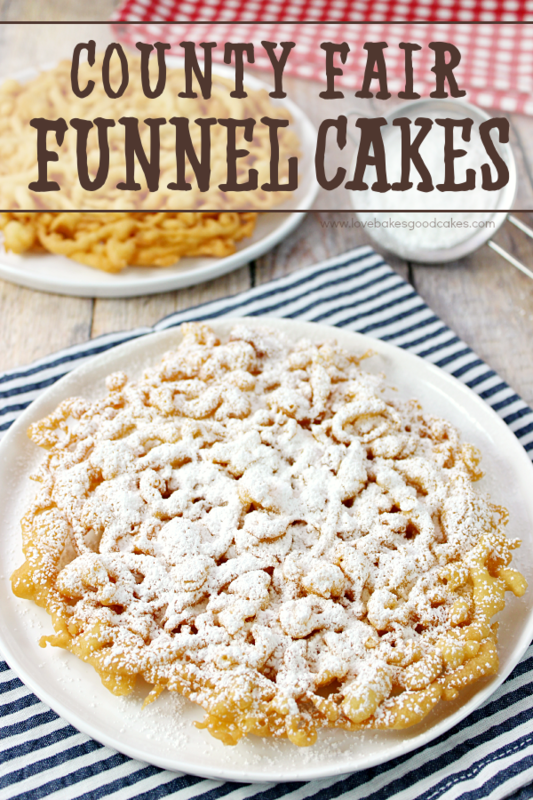 In a separate mixing bowl, combine the powdered sugar, cream cheese and 2 eggs until smooth. Spread the cream cheese mixture over the batter in the prepared pan. 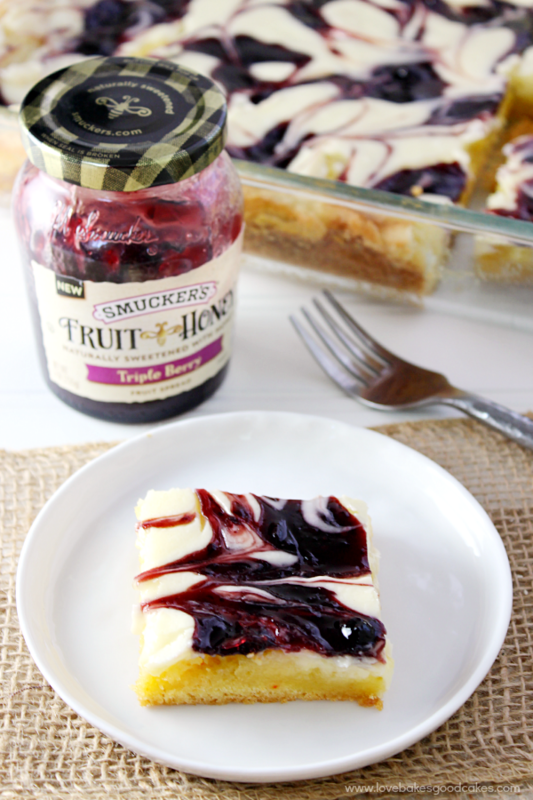 Place dollops of the Smucker's Triple Berry Fruit & Honey Fruit Spread around the top of the cream cheese mixture. Carefully run a knife through the Fruit & Honey Spread and cream cheese mixture creating swirl designs. Do not press through the batter at the bottom. Bake for 27-32 minutes or until the sides start to pull away from the pan and begin to brown. Remove cake from the oven and allow cake to cool completely. Once cooled, store the cake, covered, in the refrigerator. The new Smucker’s Fruit and Honey Fruit Spread comes in four great flavors – Triple Berry, Blueberry Lemon, Tropical Fruit, and Strawberry. Which one are you most looking forward to trying? I am literally drooling! This needs to be on my table today!! I bet I even have a jar of Smuckers in the fridge!! I *just* saw this at the grocery store and was completely intrigued! 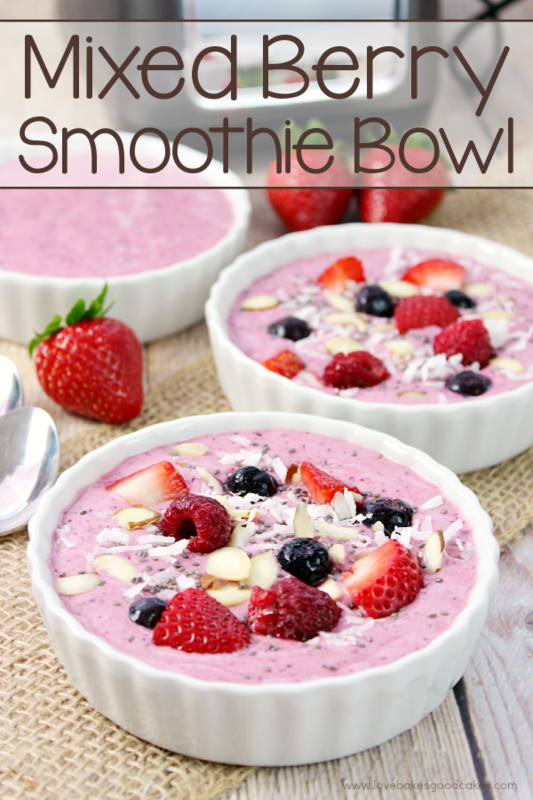 This recipe looks like the perfect way to try it out! 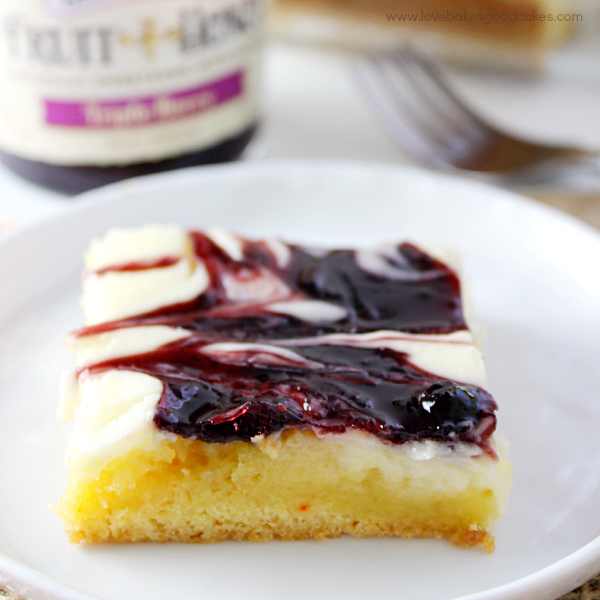 That fruit 'n honey spread looks amazing, and so does this cake! I love it when an idea works out so well!